Mouse Pads Orlando Vacation Rentals offers the finest in fully furnished, privately owned pool homes and townhomes located in residential neighborhoods next to the Walt Disney World Resort, for less than the cost of one hotel room, and NO CLEANING FEES! Each 2-5 bedroom private pool home or townhome features a complete kitchen and spacious rooms, are fully equipped and all homes and townhomes are within minutes of all area attractions. As a Mouse Pads guest you will be pleased with our legendary customer service, exceptional cleanliness, comfort, convenience, and the spaciousness of our properties. 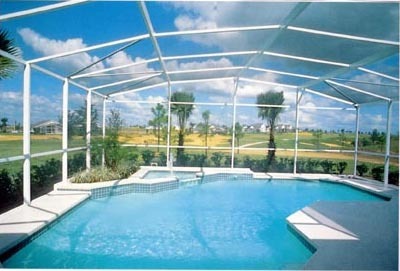 Our single family pool homes are fully equipped, complete with a private, backyard, screened-in swimming pool. Our fully equipped townhomes are located in a gated community and feature an olympic size heated swimming pool with fountains, large jacuzzi, clubhouse, fitness center, business center, gameroom, tennis courts, volleyball courts, basketball courts and meeting space. Don't get trapped like a rat in a hotel room. Stay in a Mouse Pad.